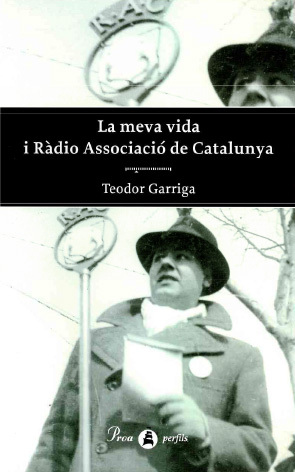 Teodor Garriga (Barcelona, 1909) was actively involved in the world of culture, politics and broadcasting of Catalonia in the twenties and thirties. Later, he lived in exile, the experience of concentration camps and the resistance against the Nazis in France. He returned to Catalonia in the early sixties. As a man of his word, on stage and in front of microphones, his name is inseparable from the history of “Radio Associació de Catalunya” since it’s founding in 1931 until 1939. A man of the people, he was a self-made man. Solely and simply with his direct contact with life and professions of his time; survivor of a mythical time, was able to be brave, generous, humanitarian and, therefore, equipped with a powerful social sense. He remembers everything in “La meva vida i Ràdio Associació de Catalunya” where Teodor Garriga displays its vitality and expansive sense of existence with an innate gift for humour and irony. This is one of the least known stories of Catalonia. 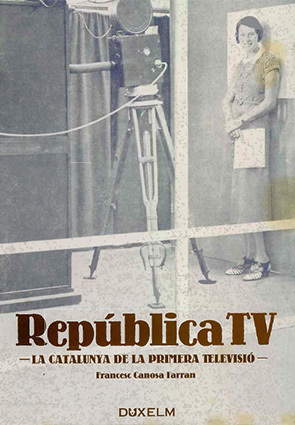 After years of research, this book reveals the project of a Catalan television during the Spanish Republic. But this is just the beginning. Politicians, businessmen, journalists, writers … Barcelona, Manlleu, Madrid, Paris, Berlin, New York …On foot, by car, by plane … A travelling shot that catches all Catalan Society that realizes the world is changing. The age of image has begun. Everything is visible: dreams and nightmares; exiles and returns; promises and omissions; Business and ruins; media battles and personal wars; Catalonia and Spain. This is the story of a period in which television is more than just a new medium that will have to revolutionize the world. Television became the symbol of a country that wants to see all and be seen.